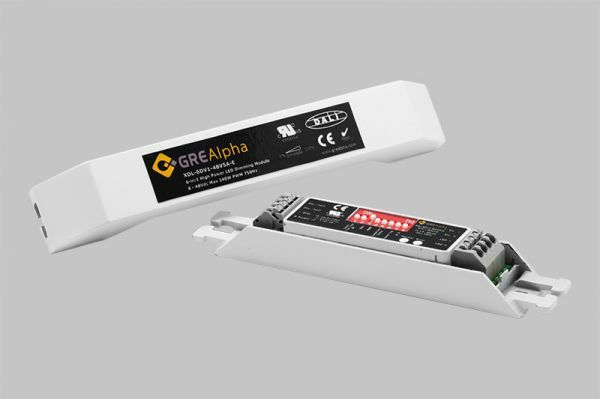 GRE Alpha developed our unique six-in-one dimming modules to address some of the challenges lighting designers face today. With increasingly diverse dimming protocol options in the market, headaches ensue when lighting systems are not compatible with specified dimming control systems. Moreover, the implementation of drivers with optional, integrated dimming functions to address these issues, can be costly and limit the flexibility to use in various dimming control technologies. 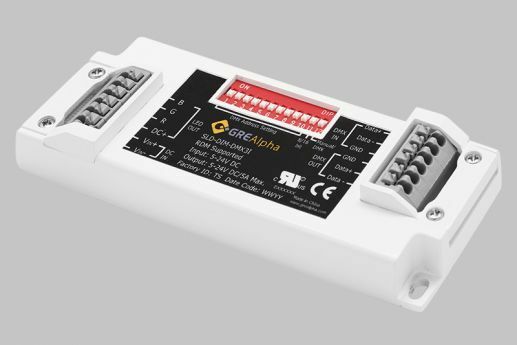 GRE Alpha’s unique six-in-one dimming module solves these challenges by enabling users to quickly and easily select the required dimming control function, through a simple dip switch setting on the dimming module. DALI, DMX, 0-10V, 1-10V, PWM, Momentary Switch Dimming, and Potentiometer dimming control functions are just some of the features our GRE Alpha six-in-one dimming module supports. Incorporating high performance dimming algorithms, GRE Alpha’s six-in-one dimming modules enable smooth, flicker-free PWM dimming that does not alter color temperature of LEDs. This enables high fidelity of control expected of solid state lighting systems.